Electric transmission pole towers criss-cross the sky near Beijing. It was often reported a few years ago that China was building coal-fired power plants at a blizzard’s pace—some said launching two plants every week—to meet soaring electricity demand in an economy growing at double-digit rates. A mere glance at any downtown Chinese cityscape at night still confirms a tremendous thirst for electricity: Floodlights bathe skyscrapers and colorful neon accents highway viaduct railings. But the heady days of power plant super-expansion may be over now that the economy’s growth rate is slowing in the 7 percent range. Government economic planners now say they want more growth in service-related businesses than power-consuming steel mills. Their decisions, though, cannot be separated from serious power-industry challenges tied to the impact of the Fukushima disaster on the nuclear sector, global coal prices, and the nation’s struggling wind energy industry. Building a coal plant may have been a lot less challenging. Slowing nationwide power demand and coal consumption, twin barometers for economic growth, suggest the Chinese economy may be sailing into the doldrums while at the same time changing its course. Electricity use in May rose a relatively mild 5.2 percent compared to the same month last year and just 1.5 percent over April’s level to 406 billion kilowatt hours, the National Energy Administration (NEA) said. The January-May power consumption rate grew at a similarly gradual 5.8 percent pace in sharp contrast with a 12 percent growth rate posted not only for the same period 2011, the energy administration said, but for every calendar year over the past decade. The decline partially explains why demand for Chinese coal, half of which is burned in domestic power plants, has weakened, pushing stockpiles higher and prices lower. Coal inventories this year have risen to new heights month on month, particularly at storage-shipping facilities such as Hebei province’s Qinhuangdao, the nation’s leading coal port. Qinhuangdao’s stockpile of 9.5 million tons of coal on hand during the week of June 18 exceeded an all-time peak reported during the 2008 financial crisis and approached the port’s maximum storage capacity, official data shows. Power plants around the country have been building their own stockpiles, too, sometimes storing enough for twenty-eight days worth of production. Meanwhile, coal prices have been falling—recently at an accelerating rate. Power plant-ready coal was selling in late June at northern ports for 702 yuan per ton, down from nearly 800 yuan per ton just two months earlier. Some analysts have linked these trends to the nation’s slowing economy and more energy-efficient manufacturing. Wu Zhonghu, executive manager at the National Energy Research Association, said energy efficiency and “inevitable ... structural adjustment” for the nation’s economy are putting the brakes on electricity consumption growth. Others analysts say domestic coal prices have fallen in response to significantly higher imports. Liu Huibao, a coal analyst at Haitong Securities, said China imported more than 20 million tons of coal every month so far this year, significantly affecting the market landscape. China imported 107 million tons of coal between January and May, up nearly 82 percent from the same period 2011, said Wang Xianzheng, president of the China Coal Industry Association. That compared to domestic coal production of 1.6 billion tons for the five-month period, up 6 percent from last year. “Imported coal is having a more prominent impact on the domestic coal market,” Liu said. On a broader scale, analysts generally agree that the economy’s slowing growth rate has contributed to declining power and coal consumption growth. 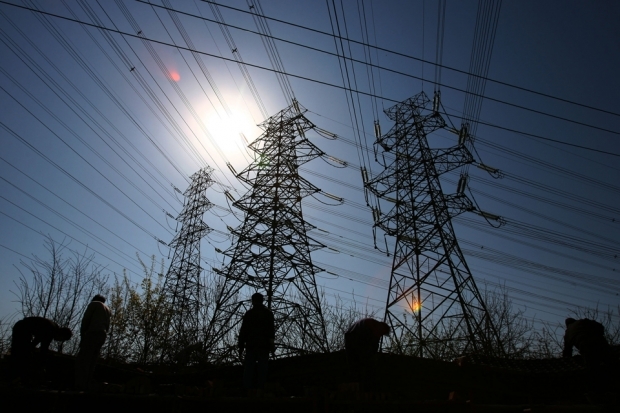 Han Xiaoping, chief information officer for the power industry data portal China5e.com, told Caixin that electricity consumption trends historically reflect short-term changes in the Chinese economy. And those trends are pointing to several structural adjustments. For years, China’s industrial structure has been heavily reliant on power-hungry businesses including steelmaking, non-ferrous metal and chemicals production, and construction materials manufacturing. Strong growth in each of these sectors factored into soaring power consumption over the past decade, said Zhang Long, chief electricity analyst at Essence Securities. But now, China’s economy is shifting toward service-sector growth and away from heavy industry expansion. For that reason, non-residential demand for electricity has grown much faster in the service sector than in manufacturing, steelmaking, cement production, and the like. Power consumption in the service sector grew 12.4 percent in the January-May period, said NEA, compared to 3.8 percent in the industrial sector overall and around 1.4 percent among major power-consuming industries. And while the industrial sector accounts for 73 percent of all non-residential power demand, NEA said, it now accounts for only 47 percent of gross domestic product. Moreover, light manufacturing growth has been outpacing heavy industry expansion during the first five months this year for the first time since 1999, said Li Xunwei, chief economist at Haitong Securities. Change is also affecting the power industry’s supply structure thanks to, for example, heavier use of hydroelectric plants. NEA expects an increased emphasis on hydropower and other non-coal sources of electricity to reduce power plant demand for coal by about 8 million tons this year. Indeed, coal-fired power plant generating capacity fell 1.5 percent in May from the same month 2011. Meanwhile, nationwide hydropower generating capacity grew 31 percent in May over the same period 2011 and 52 percent over April’s level. Yu Hairong is a Caixin staff reporter.